From Variety: "If it's true that there's an 8-year-old boy inside every man, Transformers is just the ticket to bring the kid out. 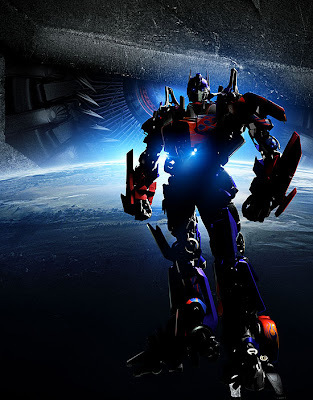 Big, loud and full of testosterone-fueled car fantasies, Michael Bay's actioner hits a new peak for CGI work, showcasing spectacular chases and animated transformation sequences seamlessly blended into live-action surroundings. There's no longer any question whether special effects can be made more realistic: The issue is whether disposable actors can be trained to play better with bluescreens."